Get out from under the mountains of paperwork and accomplish it all with electronic plan review. When you make the switch to an electronic plan review platform, you can track projects easily. Suddenly managing your team is a breeze and your customer service game is unparalleled. But how can you do it? Through collaborative work spaces, concurrent plan reviews, intelligent comment libraries and online fee collections, you can effectively manage your plan review process online from beginning to end, from your customer to your review team. 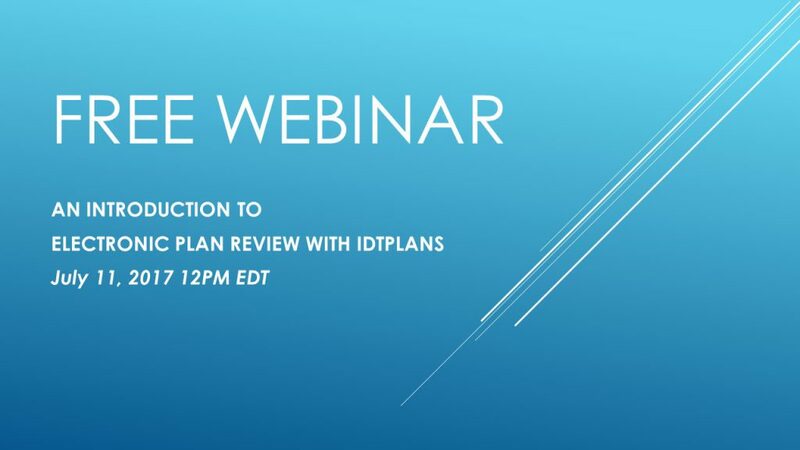 Join Jace Coleman, CEO of idtPlans, and Katy Rucker, Implementation Manager for idtPlans, as they highlight how an electronic plan review system can work for you in this introductory webinar from idtPlans.